Tie the top of it with an elastic or you can use a needle and thread to sew it up. Sew up the opening of the sock and snip off the excess sock, if you would like a smaller nose for your Gnome then i recommend a baby sock! 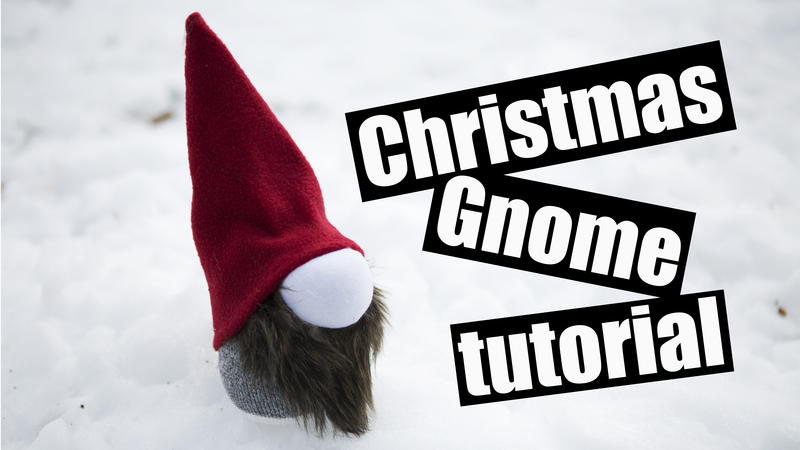 Flip the hat right sides out and place it on your gnome, bring the hat down the front of the nose 1/3 of the way so it looks like it covers his eyes and i like to hot glue my hat in place so it doesnt come off and then your done! You can add addition decoration or keep it simple like this!